Last night I had the absolute pleasure of attending Sensi Magazine’s Southern Colorado Night. It was held at Briarhurst Manor out in Manitou Springs, which I had never been to before. I was super thrilled to attend the event with one of my closest friends, John Fresh. Fresh is the videographer for Sensi Productions (which is a part of Sensi Magazine), and he is the most talented and driven person I’ve ever met. Getting to attend the event for a write up and photography was a great experience. Where do I even begin! The venue was spectacular to say the least. When you first walk up to the estate, you notice the gorgeous pink sandstone brickwork of the structure. Walking into the event was like walking back in time as you become immersed in the history that the mansion has to offer. The entire estate has many artifacts and objects on display that tell the story of its rich history. The original Briarhurst Estate was built in 1876 by an English man named Dr. William Bell. The Estate has undergone a rebuild due to a fire in the original structure, and multiple remodels and changes since. Despite the changes it’s possible to see the culture and history that has remained throughout the last 140 years. Walking around the event I got to see a ton of cannabis companies and dispensaries; some that I had heard of before and some that were brand new to me! There were booths set up by Dro, Apothecary, Mary Jane Medicinals, and so many more! I was so excited to see the buzz that the rooms were starting to get right from the first hour of being open. Companies were allowed to provide e-nails and other torchless devices to vape CBD on site, however this was a consumption free event. The only part of the night that was going to be consumption friendly was the after party. The VIP after party at VIBEZ was dope and it was held right after the event. 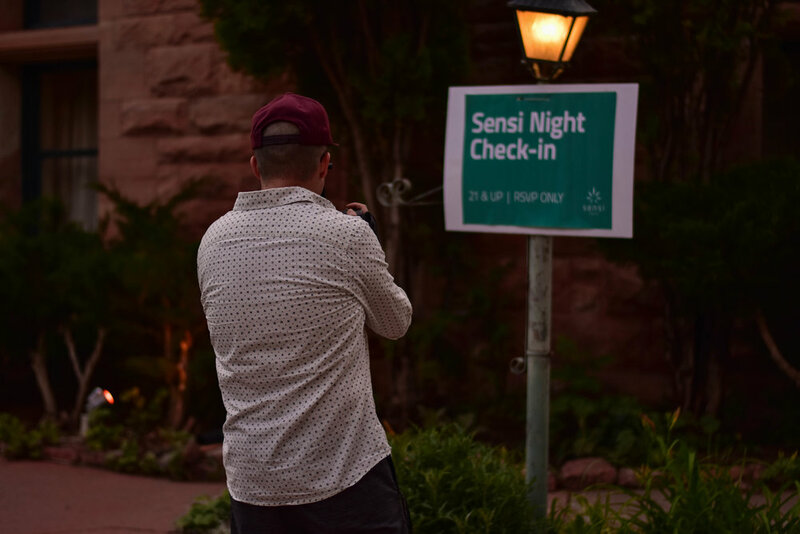 Tons of people came by to celebrate the success of another Sensi SoCo Night, and we were happy to smoke to that. The stage was jamming with a couple of local acts that are at VIBEZ on thursday nights. Puffco Peaks were being passed around with globs of Apothecary extracts inside the atomizers, and everybody was having a great time. There’s no better way to all come together than over a plant we all care about. These big events are really an important way to meet and network with companies or individuals that you either know of, or that you want to get to know. I watched a woman last night practically run right up to a man and say “I don't normally do this, but I just heard you introduce yourself a minute ago and I have been dying to meet you since I moved here!”. Obviously her evening was made, and so was mine getting to spend time with so many friends at an awesome event staged by Sensi Magazine for the cannabis community!